Rembrandt is one of the most well-known painters of all time. In fact, his name has become a definition for being a great artist. People sometimes say “He’s a real Rembrandt”, meaning that someone’s a good artist. Rembrandt’s full name is Rembrandt Harmenszoon Van Rijn, but he’s known as just Rembrandt. He was born and lived in the Netherlands during the 1600’s, which is known as the Dutch Golden Age. Rembrandt was a deeply religious man and many of his paintings were from the Bible. Our painting of the week, The Return of the Prodigal Son, is from the Bible parable about a man’s son who left home, got in trouble, and returned home to his father with nothing. The scene in the painting is after the son has begged his father to forgive him. The loving father is forgiving the prodigal son and welcoming him home instead of being mad. A brother who is jealous over the way his father is celebrating this son's return stands to the side. Rembrandt has purposely brightened these three characters so they stand out more in the painting. The Return of the Prodigal Son was one of Rembrandt’s final works. The painting has touched many people with the love and tenderness it shows from the father and the complete repentance shown by the son. Prodigal means being wasteful and reckless. You can tell by the son’s clothing that he has lost all of the wealth his father had given him. A portrait is a picture of a person. Rembrandt gained a reputation as a painter of portraits. Rembrandt’s technique of making his subjects’ faces brighter than their surroundings drew viewers’ attention to the people. 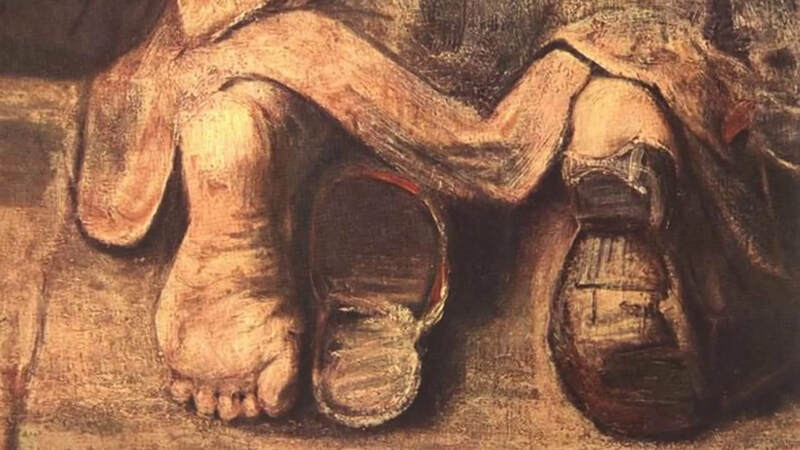 He painted many portraits for people and close to fifty self-portraits. A self-portrait is when a person paints themselves. Rembrandt is famous for all of his self-portraits throughout his life. Rembrandt developed a style in which much of the area in his paintings was dark and in shadows while the main subjects were highlighted in brighter light. Using much contrast between light and dark in an artwork is called chiaroscuro. Rembrandt’s use of chiaroscuro made his paintings more dramatic and interesting, such as in his famous painting, The Night Watch. Many of Rembrandt’s masterpieces are based on stories or characters from the Bible, such as The Return of the Prodigal Son. 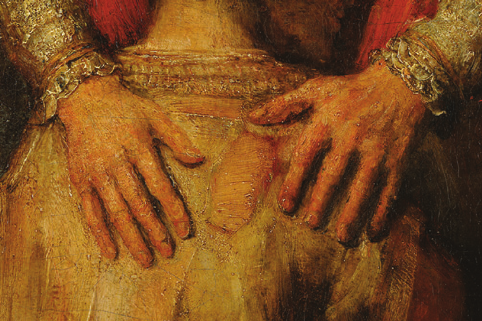 Rembrandt's religious paintings show much attention to detail and emotion. Most of Rembrandt’s religious artworks are drawings and etchings, but he completed over 60 paintings with Biblical themes. 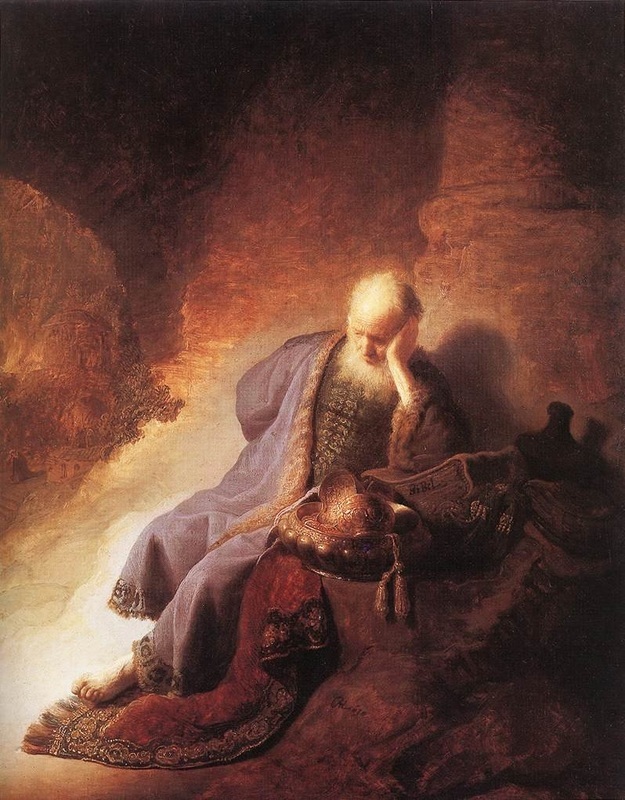 Rembrandt created over 300 works of art inspired by stories from the Bible.